It’s reasonable for financial markets to expect a couple more small interest rate hikes from the Bank of England (BoE) over the next two years, according to BoE rate-setter Ian McCafferty. “We’re only talking over the next couple of years of possibly a couple more small interest rate rises over that period. That’s what the markets are expecting and I think that’s a reasonable rule of thumb if the economy performs as we expect,” Mr McCafferty said in a question-and-answer show on LBC radio. 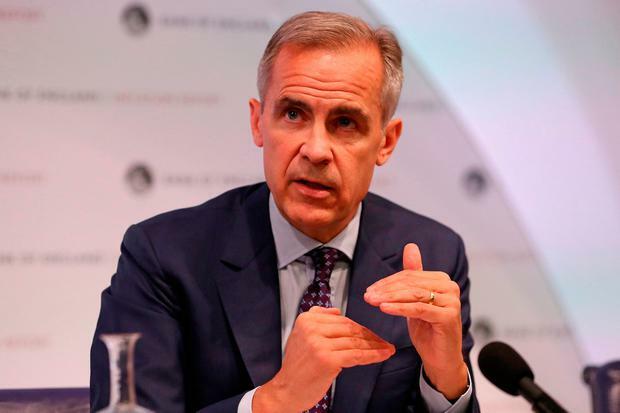 His comments echoed those of BoE Governor Mark Carney last week after the BoE raised borrowing costs for only the second time since the financial crisis over a decade ago. Mr McCafferty is a member of the BoE’s rate-setting committee. Last week the nine rate-setters unexpectedly voted unanimously to raise rates to 0.75pc from 0.5pc, the level at which they have spent most of the past decade, apart from a period after the 2016 Brexit vote when they were cut even lower. But sterling fell against the dollar and the euro and British government bond prices rose after BoE Governor Mark Carney stressed that there was gradual path for rate hikes ahead. “Policy needs to walk – not run – to stand still,” he said as he explained a new BoE estimate of neutral interest rates for Britain’s economy, which the central bank believes will gradually rise against a backdrop of strong global growth. Growth in Britain has slowed since the referendum decision in 2016 to leave the EU.